Welcome to Auckland Newmarket Motel (formerly The Jacaranda Motel) – the friendliest Auckland motel accommodation! Experience the comfort of home away from home. Here at Auckland Newmarket Motel, we have 20 units including Deluxe Studios, Standard Studios, Luxury Units and Standard Studios with Wheelchair Access, all which offer the comforts of home. In each of our Auckland motel units, guests will enjoy Sky TV, a direct-dial phone and free wireless internet. Our Deluxe Studios and Standard Studios are the ideal corporate Auckland accommodation, with a desk in each unit. Auckland Newmarket Motel's Luxury Units have a kitchen for your convenience and all units offer a fridge, toaster and tea & coffee making facilities. Click here to view our Epsom motel’s full range of facilities. If you are coming to New Zealand from abroad and are unsure of where to go and what to do, we have extensive knowledge of both Auckland's attractions and activities and various New Zealand tours. At Auckland Newmarket Motel, we know who provides the best value for money, and we'll ensure you have the most suitable stay in New Zealand according to what you find interesting! You won't be disappointed with our excellent service, friendly smiles and a standard of Auckland motel accommodation that we are proud to call our own. So come and spend some of your holiday with us at Auckland Newmarket Motel - we'll help make your stay in New Zealand all that it can be! Our Auckland motel is very central to many attractions, including the Auckland International Airport, Eden Park and Alexandra Racecourse/ASB Showgrounds. The city is only 10 mins away and Newmarket fashion retail capital of NZ is 2 mins from your Newmarket motel. We're also surrounded by all the top schools and hospitals. 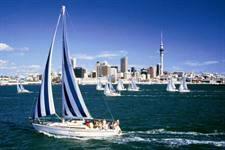 Book your Auckland motel accommodation with us now - click here!